Join us at Refinery Rooftop for your New Year's Eve. 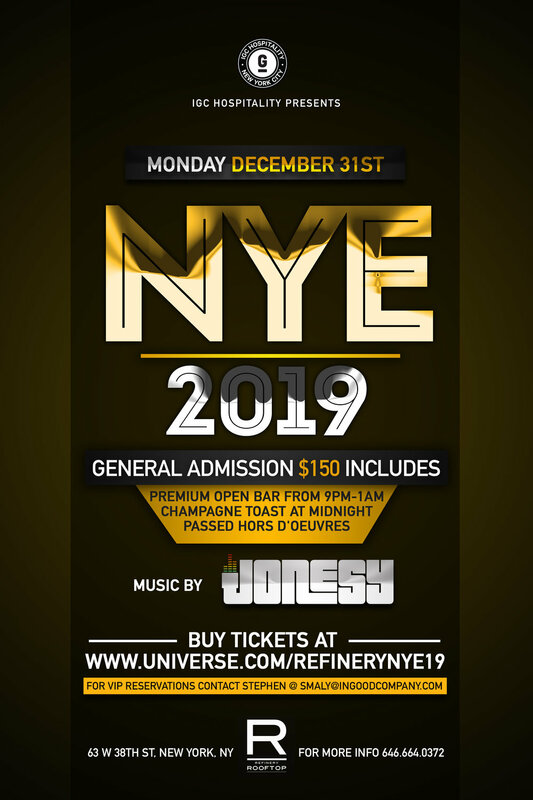 With unobstructed views of the Empire State Building, champagne toasts, and the company of your nearest and dearest, Refinery Rooftop's New Years Eve will be an event to not be missed. Private VIP table for the duration of the evening including bottle and cocktail service, including passed hors’ douvres.